The Las Vegas skyline at night. Check out pictures of the tour to Las Vegas on flickr. The 2018 All-State Band will travel to Las Vegas for the Lions International Convention; we are excited you are interested in learning about the band. This year, our international trip will take us to Las Vegas and the Grand Canyon, with performances and sightseeing along the way. Members of the band will enjoy a superb musical experience, and will make many new friends along the way among music students drawn from across Pennsylvania. The tour begins with a concentrated rehearsal period in a college environment. Our rehearsals are held at the Sunderman Conservatory of Music at Gettysburg College. Their outstanding campus sets the tone for our trip, and gives our members a chance to experience college life, if only for a few days. Following our rehearsals in Gettysburg, we will depart for a Eight-day tour to Las Vegas. While there, we will compete in the Lions International Parade and give several concerts. All members of the international band are in the concert band and parade band (marching). Some members may also be in the jazz ensemble, percussion ensemble, or other chamber groups. ​and perform and visit the Grand Canyon. Selection is based on past participation in the Lions All-State Band, instrumentation needs, experience on your instrument (9th grade and up with older students usually selected first), and participation in other musical events including County, District, Region and All-State Honor Bands. 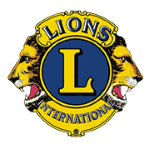 Students whose parents are Lions or who are recommended by a Lions Club will also garner consideration. A letter of acceptance will be sent on or around March 1st. Please double-check to be sure that if you are accepted you will attend. Check your school and personal calendars for possible conflicts, including concerts and trips with your school band, prom, family events, etc. Once you are accepted, we plan for you to be in the band, as well as prepare food and rooming needs. If you apply and are accepted, then drop out, you will have taken a slot that could have gone to someone else. The member participation fee for the 2018 Lions All-State Band International Tour to Chicago is $1095. The trip provides twelve days of accommodations, meals, admission to all attractions, and more. The majority of the per-person cost is paid by the Lions of Pennsylvania, who generously support the band and its members. A $100 deposit due with your application. A second payment of $500 due with accepted student paperwork on March 20. A third payment of $250 is due on April 6. A final payment of $245 is due on May 1. If you are selected for the band, You have until March 20th to decline your acceptance. Any cancellation made after that time is 100% non-refundable. Additionally, absence of scheduled payment without advance notification will result in forfeiture of acceptance in the ensemble. We are a non-profit organization dedicated to helping young musicians gain musical and life experience; we want our trips to be available to all. If you have financial need and need assistance, there are several options available to you. Learn more about financial assistance. Note: this schedule is tentative and for planning purposes only. The final itinerary will be sent to all band members after acceptance. Thursday June 28: Off to Las Vegas! Thursday, July 5: Travel back to Gettysburg...the end of a great tour!